Wells Fargo is "clawing back" $75 million in salary paid to its former CEO and another top executive after a board investigation into the bank's unauthorized accounts scandal. At least, that was the headline on the report. But if you look a little deeper into the lengthy document, you learn some interesting things about how the bank operated and what led it to start opening bank and credit card accounts in customers' names, whether they wanted them or not. 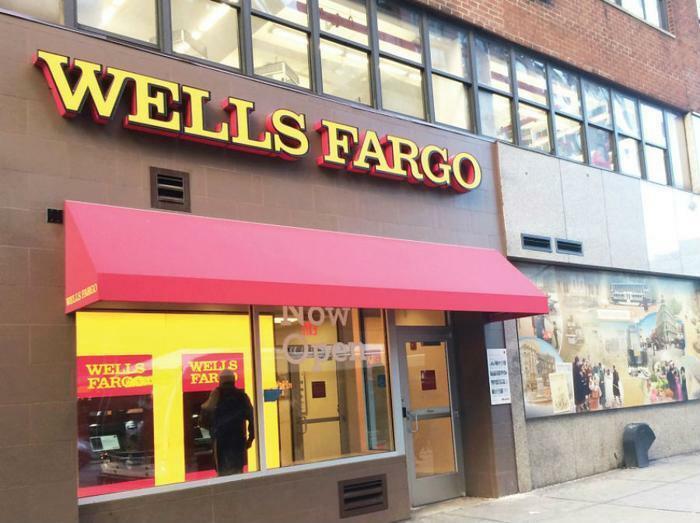 The report found the problem centered on Wells Fargo's community bank division, described as having a long history of strong performance as a self-identified sales organization, with a decentralized corporate structure, guided by its Vision & Values statement. "While there is nothing necessarily pernicious about sales goals, a sales-oriented culture or a decentralized corporate structure, these same cultural and structural characteristics unfortunately coalesced and failed dramatically here," the investigators concluded. The report found Wells Fargo gave mangers a strong hand, with a commonly repeated slogan, "run it like you own it." It seems that the managers did just that, and didn't like to have their wisdom questioned once a decision had been made. The investigators said the community bank division's senior leadership "distorted" the sales model and performance management system, fostering an atmosphere that prompted low quality sales and improper and unethical behavior. The report says community bank senior leaders set "increasingly high and unrealistic" sales goals, and were reportedly challenged on it by regional managers. Despite that, the goals got even higher, and so did firings and resignations when the goals could not be met. At the same time, the report found that the quality of the new accounts continued to decline. At some point Wells Fargo realized there could be a problem and began to take steps to address it. But the investigators maintain that the steps were misguided and ineffective. They fired the offending employees without considering the underlying causes. In a particularly damning statement, the investigators said Carrie Tolstedt, head of the community bank division, and her senior staff "paid insufficient regard to the substantial risk to Wells Fargo’s brand and reputation from improper and unethical sales practices," even as they overlooked financial or other harm to customers. Then, a flawed sales model got even more flawed. The report says supervisors placed intense pressure on employees to increase sales, even to the point of calling them several times each day to demand a progress report. "Certain managers also explicitly encouraged their subordinates to sell unnecessary products to their customers in an effort to meet the Community Bank’s sales goals," the authors write. The report goes on to document what has been widely reported here and elsewhere -- that over the years Wells Fargo created millions of accounts for customers who never authorized them. It also outlines remedial steps to make sure it doesn't happen again. The community bank division at Wells Fargo is now highly centralized -- not decentralized as it was in the past. Supervisors don't run it like they own it. Now, when an account is opened, an automated email is sent to the customer to confirm the account was properly authorized.